Learn to use more of Your mind...and use it in a better way! "Control your mind or someone else will!" • falling asleep without drugs. Sophisticated reports include students developing ESP and using dreams to solve problems or get information. It has been said that Albert Einstein used only 10% of his mind, and that the general public uses only 3% - 4%. That is what the Silva Method is all about, learning to use more of your mind. "Make the rest of your life be the best of your life!" I will travel to do private classes for your family or business! Gift Certificates are available for your loved ones. 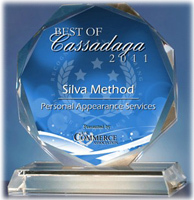 You will not want to miss the next Silva Method Seminar. Friends, Partners and Family members can take the same class that changed your life.